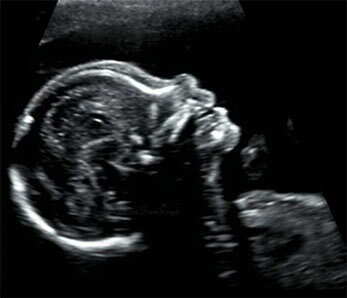 Miracle View Ultrasound's NEW HD Technology! 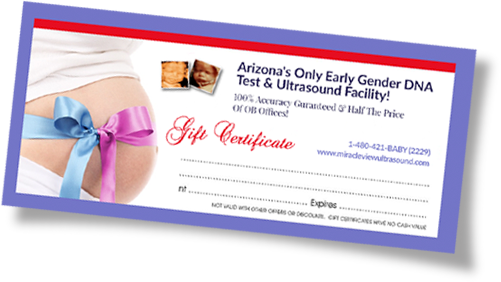 Miracle View Ultrasound is the ONLY Ultrasound Facility in the state of Arizona that has the 4D HD Live ultrasound technology! Over 14 Years Of "Real" Customer Testimonials! What's The Best Time For An Ultrasound? Fun Baby Stuff!! How Big Is My Baby? Prepare For Best Ultrasound Session! What is the difference between 2D, 3D, 4D, and 4D w HD Live? 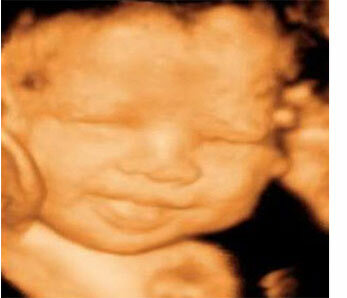 We look forward to answering any questions you might have about 3D 4D HD Live ultrasound! © 2017 Miracle View Ultrasound. All Rights Reserved. When choosing to do a 3D/4D HD Live Ultrasound package, we recommend the weeks between 26 - 35 weeks along if only doing a one visit. If you're looking for more of the baby on the screen at one time and normally more movement (they have more room to move when smaller) then come in on the earlier part of those weeks. More movement - More different shots. If you're looking for the big chubby cheeks shots (don't care about more of the baby being on the screen at one time) then come in towards the latter part of those weeks. Most opinions will agree the ideal window is between 28 - 32 weeks along for the best shots, but it is completely depended on what you're looking for out of the pictures. If you're planning on doing a 2 visit package, then we suggest coming in for your first visit between 14 - 25 weeks and then your second visit between 26 - 35 weeks depending on when you came in for your first visit. Best to put a good window between them as it will make for 2 completely different sessions of seeing the miracle of the amount of their growth. If you're planning on coming in for Gender Determination, then you can come in at any time from 14 weeks to end of pregnancy. Our DNA package for 100% accuracy only requires that you are 9 weeks along and that also can be done to end of pregnancy. 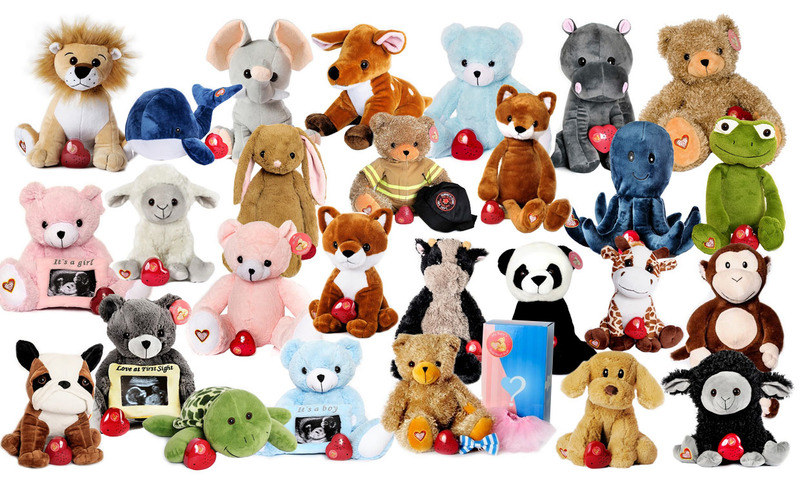 Animal selection is known to change as some get discontinued and we also add new animals as they come available. Most doctors recommend maintaining a healthy fluid intake, especially while you are pregnant. This will help to ensure your amniotic fluid is clear as well as full. There are many things out of the sonographer's control like the baby's position, the mother's build, amount of amniotic fluid, etc. HIGHLY RECOMMEND really good hydration (water intake) at least 24 hours prior (but recommend 48-72 hrs prior) to the appointment all the way to the appointment time. 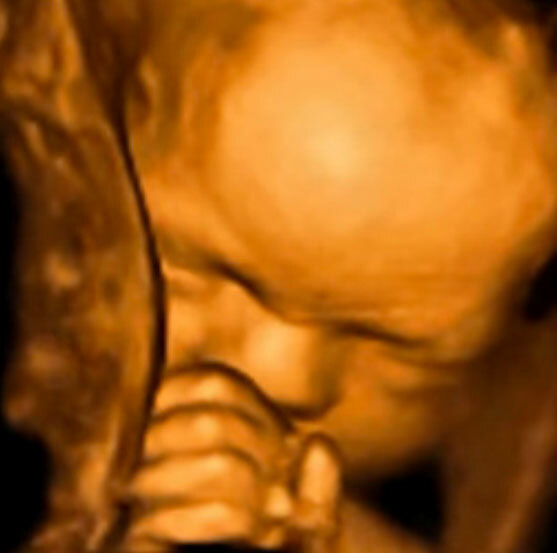 About fifteen minutes to half hour before your 3D/4D HD ultrasound scan, try to have anything you may know of that gets the baby active to attempt to capture as many different pictures as possible. More movement we get the more different pictures we can get! Feel free to call us for suggestions! 2D is a black and white still image you generally get at our doctor’s office visits. It's capturing a slice or outline of an image. 3D is taking points from multi-dimensions and creating a still 3-dimensional image like the photos you see displayed on our website or marketing materials. With most of our packages, these images are saved in a jpg format on a CD so that you can email, print, facebook, etc. As for 4D, instead of just one 3D image after another, computers have been able to do this so quickly that we now can stream to you what your baby is doing LIVE MOTION in the womb; hence the 4th dimension (4D) is time. When purchasing a 3D/4D session with Miracle View Ultrasound you will automatically see everything in both 3D and 4D, but also with HD LIve Technology! You will have what baby was doing at that moment in time in mommy’s womb FOREVER. 3D 4D with HD Live Technology (High Definition) is by far a much better version of the 3D/4D technology! Our 3D/4D sessions at Miracle View Ultrasound are now ALL PERFORMED IN HD, where others are still using the dated 3D/4D. HD Live It is an extraordinary rendering method that generates amazingly realistic images of the baby and the surface tone is no longer in that bronze color, but more realistic to flesh. HDLIVE also allows us to manipulate the light source and generates images that the industry has never before been able to produce. 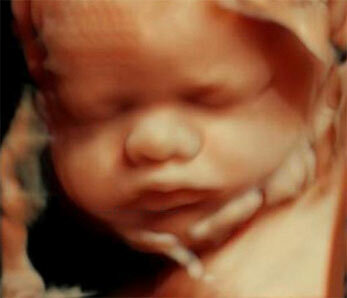 The motion rendering as you watch the baby move is not as delayed and much faster than the previous 3D/4D technology. 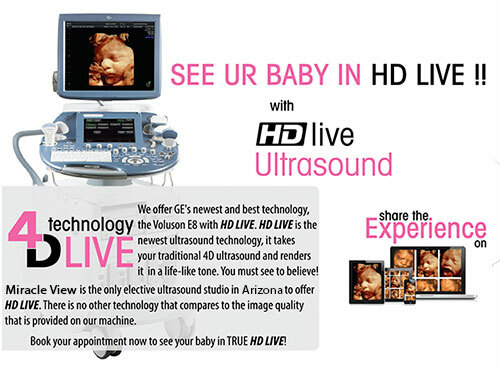 Demand The Best For Your Once In A Lifetime Ultrasound Experience! !